Freightbrain International Ltd can offer a range of transport and distribution services throughout the UK and Europe. 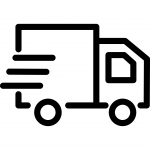 Whether this be deliveries direct from the major ports and airports in the UK or from our dedicated warehouse in Braintree, Essex we are able to offer next day distribution nationwide. We also offer 2-3 day economy services together with special premium based services such as same day, timed-delivery and tail-lift. We can provide hi-ab and special equipment crane vehicles and can attend to timed, pre-booked and weekend deliveries where required. We also offer a range of special urgent services for deliveries in the UK and Europe with dedicated and where appropriate double-manned, for those critical situations – for example production line halted or aircraft on ground. We also offer a competitively priced Students & Overseas Removals service. Give us a call for a quote or to find out more.